Jamaica sits in the heart of the Caribbean, gifted with natural wonders. Jamaica is rich in lush greeneries, mountains, wildlife and beautiful beaches. Exploring this beautiful island for a week was truly a privilege. I've learned how the locals try to protect their beloved Jamaica. Protecting the beauty of Jamaica is not just the responsibility of locals and government officials, tourists must also make that conscience effort to look for sustainable tourism. On our visit to the island, we've experienced great examples of maintaining and promoting sustainable tourism. 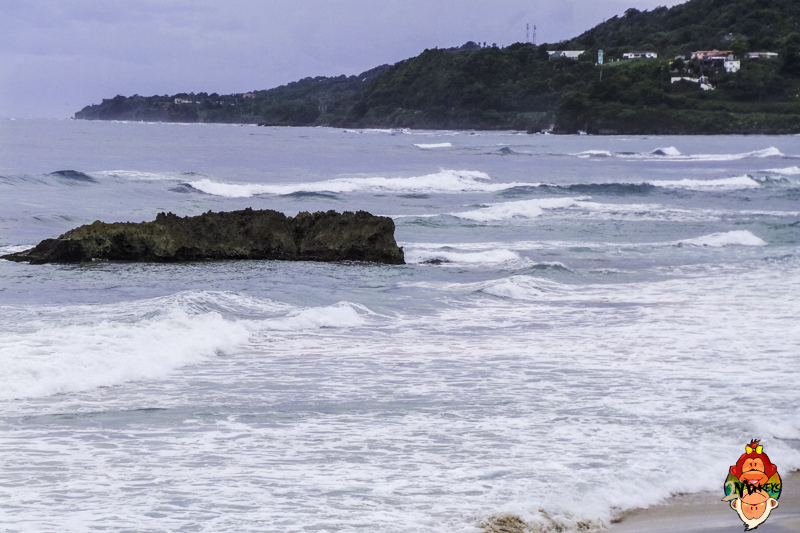 Fantastic waves in Long Bay, Jamaica; Perfect for surfing! 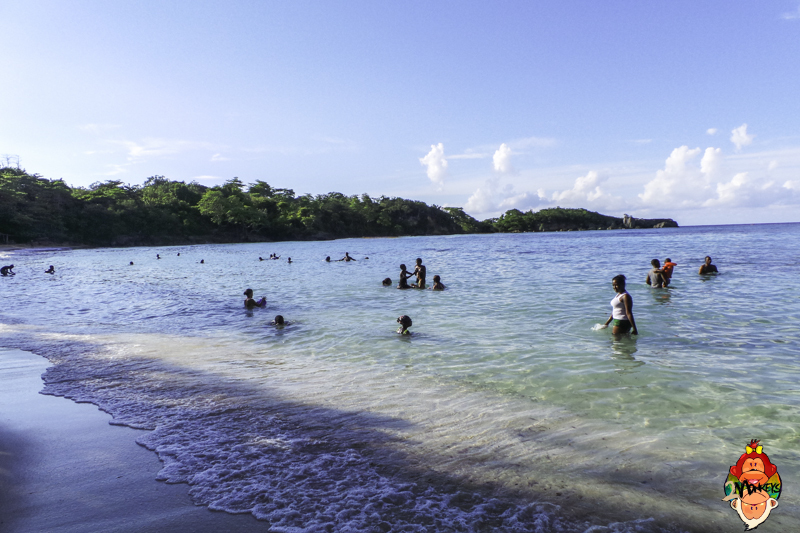 Jamaica is not just about the "all-inclusive" resorts. 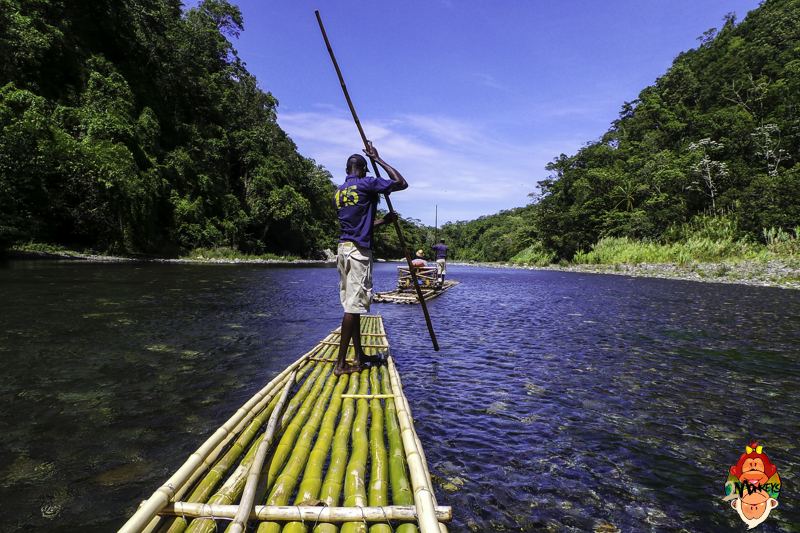 You need to explore outside and bond with nature, mingle with locals, eat local Jamaican food and experience what the real Jamaica can share with you. There are loads of ongoing efforts by the locals and small businesses to make Jamaica the top Eco-tourism spot in the Caribbean. There are rehabilitation projects to protect and preserve the natural resources, landscapes and animals. I was happy to find out that the locals are making an effort to protect their environment. 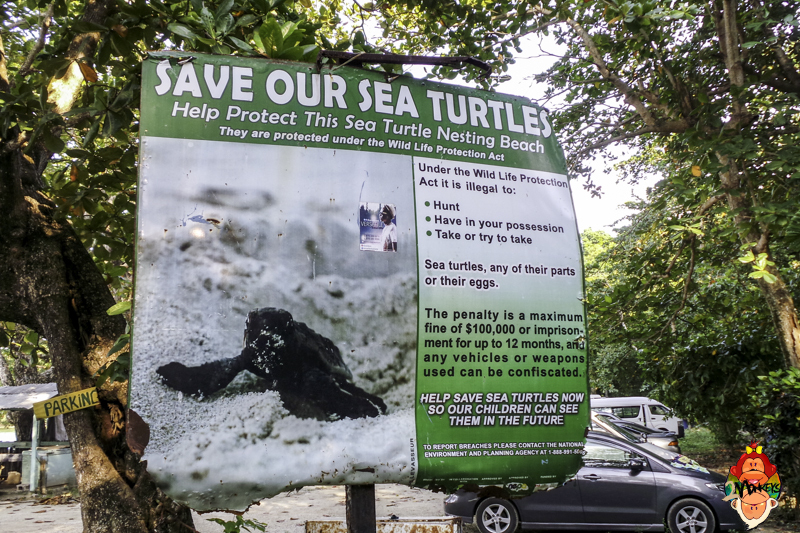 The community-based eco - tourism projects benefits the livelihood of the locals and enhances the visitor's experience. Some establishments in Jamaica are starting to use solar panels as an additional source of energy. People are taking action to make their way of life more self-reliant and sustainable. Most Jamaicans are into agriculture or have their own allotment where they grow vegetables and crops. This beautiful tropical island in the Caribbean is blessed with lots of endemic plants and animals that can only be found in Jamaica such as wild pines, giant swallowtail butterfly's, Jamaican crocodiles, the black and yellow-billed parrots, yellow snake and the national bird of Jamaica, the doctor bird (which is a type of hummingbird). 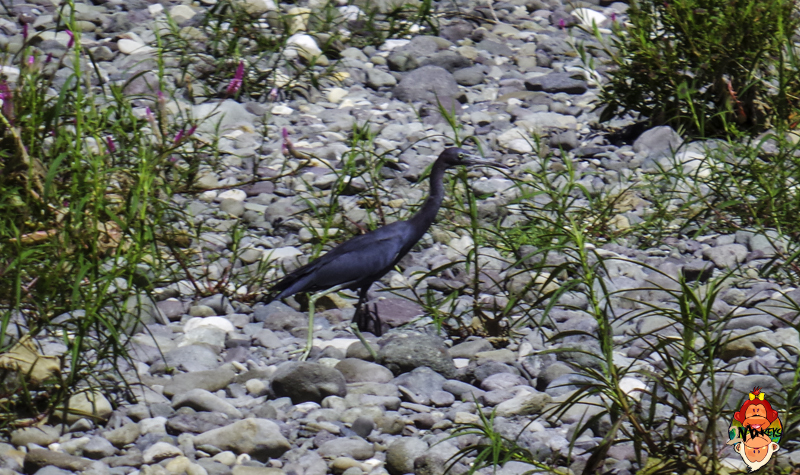 Due to the rich diversity of birds, bird watching has become a very popular activity on the island. Jamaica has more than 20 species of birds endemic to the island. There are loads of bird watching spot you can go to in Jamaica, amongst the most popular are John Crow and the Blue mountain peak . 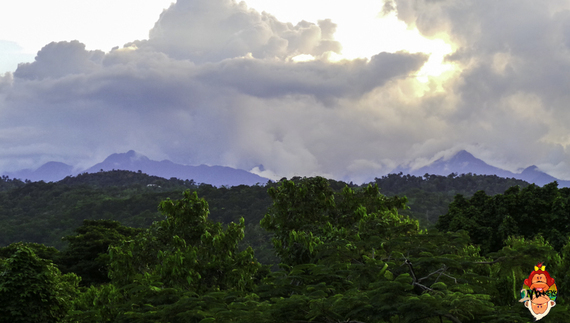 Trekking the trail of the Blue Mountain's highest peak is a must if you are up to the challenge when you visit Jamaica. Blue Mountain is also known for their best coffee. The Blue Mountain Coffee in Jamaica is regulated by the government to maintain the standards of one of the best coffees in the world. 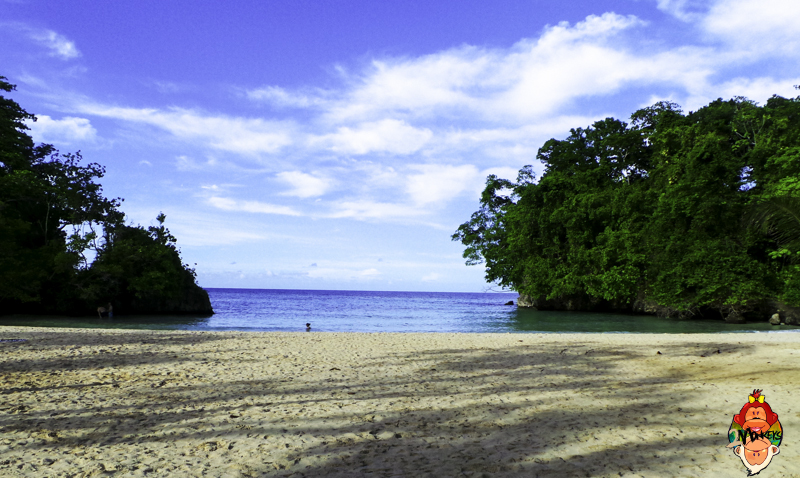 In terms of natural landscape, Jamaica has a wide selection. 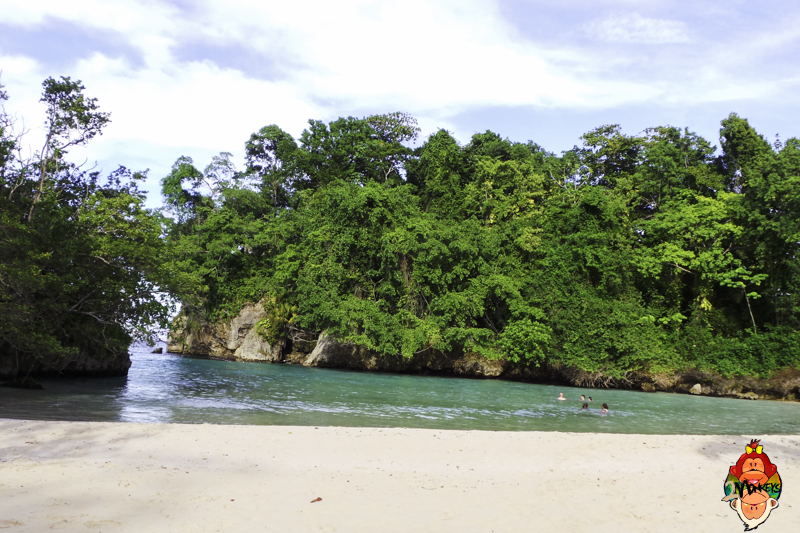 Frenchman's cove in Port Antonio in Portland Parish, Jamaica is one of the most famous beaches and is known for its luxury and privacy. The beach was made famous in the 70's and 80's as a private beach in the Caribbean, where the rich and famous people would spend their time to relax. The beach is now open to the public with a modest entrance fee. Winnifred Beach is a public beach with an authentic feel to it. Boston Beach is a charming beach that is also open to the public. Boston is known as the home of the famous Jamaican dish, the Jerk food. If you are up for surfing, the waves at Long Bay beach are perfect! 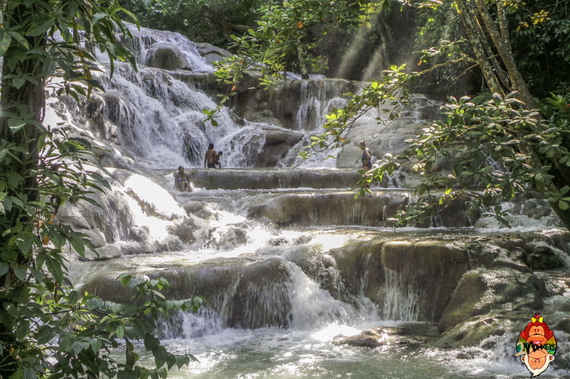 Dunn's river falls in Ocho Rios, St. Ann Parish is another popular attraction where you can climb to the top cascades. The waterfall was said to be the location of a famous battle between the Spanish and British in the 17th century. Reach falls in Manchioneal, Portland not far from Hotel Mockingbird Hill is another waterfall, which in my opinion feels more authentic as the area has not been commercialised. The trail guides will assist you throughout the trail. The waterfall was discovered by the slaves during the colonial times who were seeking refuge in the John Crow Mountain. The river rafting in the Rio Grande, Portland Parish is very special and sweet. You can enjoy the scenic view and different landscapes along the river. The rafting journey is about 8 miles and takes about 2 hours. The Rio Grande was a route for the farmers transporting their banana crops to the Banana boats in Port Antonio for export. The Banana boats were also used by migrating Jamaicans as a cheap way to travel to the 1st world countries like UK, Canada and the USA. We used Knutsford Express to travel around Jamaica, I think it is more sustainable rather than hiring your own car and cheaper too! For our pre-arranged day tours, we have a private transportation (can be shared with other guests) provided by the Hotel Mockingbird Hill with a local driver / guide to reach and explore the places that can't be accessed by the bus. During our free days, we also used the Route taxi, this is another type of public transportation in Jamaica for shorter routes between towns. 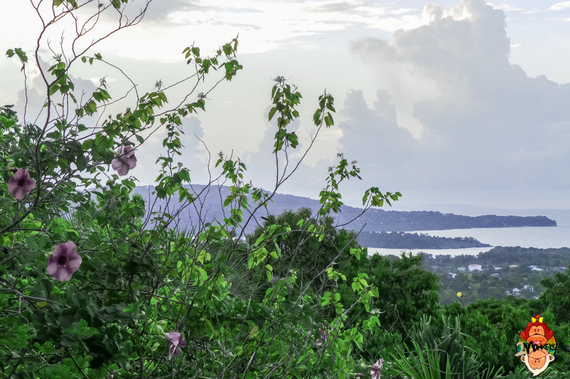 In terms of crops and vegetation, Jamaica is blessed with a fertile land. Being a tropical island, coconut trees can be seen everywhere. The national fruit of Jamaica is Ackee, this fruit is a staple in the everyday food of a typical Jamaican. Back in the colonial days, the country was famous for banana and sugar cane plantations. 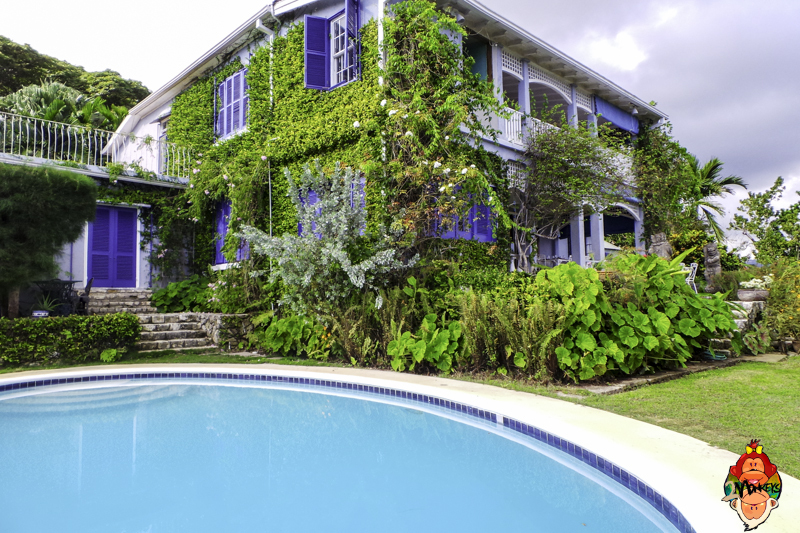 The Sussex Great House in St. Ann's Bay, St. Ann Parish is situated at the top of the hill overlooking the entire town. The guest house has their own farm where they grow their own crops. They also have their own spring which is used as the source of their water system. Our hosts Elle and David are very accommodating and friendly. They gave us tips on what to see in their local area and gave us a lift to town. The Hotel Mockingbird Hill in Port Antonio, Portland Parish is a perfect example of a sustainable hotel here in Jamaica. 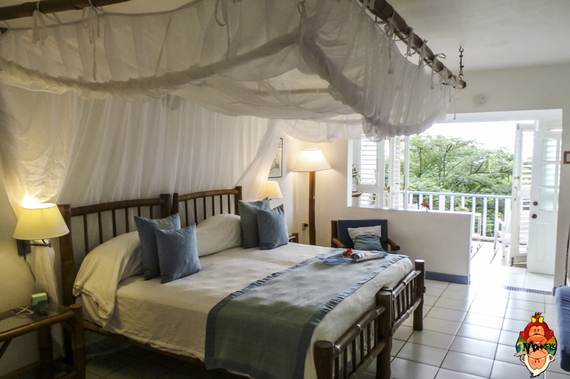 They're an eco-friendly boutique hotel that supports the local farmers and use local produce. The hotel's restaurant, Mille Fleurs Restaurant also serve great food with a fantastic view. Request the table in their viewing deck!!! Best view of Port Antonio while tucking in with the tasty Jamaican or international cuisines. A lovely welcome note with a sweet surprise. 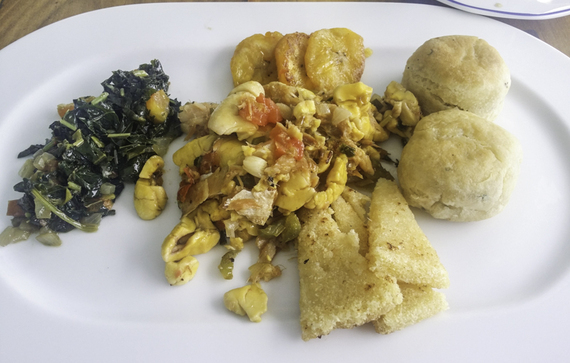 A little taste of Jamaica's locally produced products. It was a great experience to visit Jamaica. Sustainable travel is always the best way to preserve and protect the environment. "Take nothing but pictures, leave nothing but footprints. Kill nothing but time." 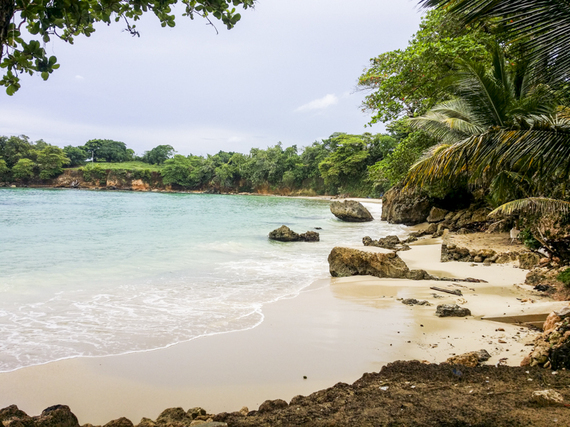 Share us your story if you've recently been to Jamaica. This article was originally published in Two Monkeys Travel Group website. Ryazan Duray- Tristram, A British-Filipina travel writer of Two Monkeys Travel Group. She is named after a Russian city near Moscow. Born and raised in Manila and currently living in the UK with her husband. She likes to travel, history, meet people & try exotic foods! Planning to explore more countries with her D.I.Y trips. Follow her adventures on Twitter, Instagram and Facebook.